What is EWTO WingTsun and what is the difference ? 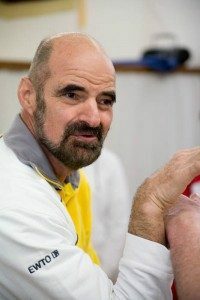 This text expresses the views and understanding of Alexander Olich, EWTO Chief National Instructor for Cyprus and direct student to Grandmaster Keith R. Kernspecht about EWTO WingTsun and it’s differences to other martial arts as well as the more traditional forms of Wing Chun, Ving Tsun, Wing Tsun (and any other form of it’s writing). 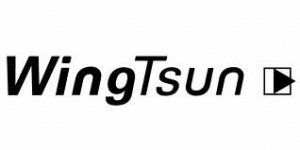 I recently, went to a martial arts shop in Limassol and was asked by the owner which Martial Art I am teaching, so I said that it was WingTsun, spelled ” W I N G T S U N”. He looked at me with a doubtful facial expression accompanied with the words:” Soooo, what is the difference?”, also raising the eyebrows sceptically… I thought to myself “well…, the difference is huge, but how do I put this in a few words to this man”, who seemed to be everything else than “up to date”, so that he would understand. Eventually I sat down and structured my thoughts together with exerpts from recent Editorials of my SiFu, Grandmaster Prof. Dr. Keith R. Kernspecht, 10th Mastergrade WingTsun. EWTO WingTsun is a further developed form of Wing Tsun (Wing Tsun, Wing Chun, Ving Tsun regardless of its writing) by Grandmaster Prof. Dr. Keith R. Kernspecht, adjusted to today’s needs for realistic self-defence on the streets of the western hemisphere. Besides the introduction of entirely new teaching methods that enable students from all walks of life to draw, protect and defend their borders and feel safe in day to day situations in a fraction of time compared to traditional styles, Professor Kernspecht also established WingTsun as a science in several European universities, where it is taught on a BA, MSc and PhD level. GM Kernspecht also incorporated crucial aspects of a fight in our WingTsun training such as methods of de-escalation that we train in role plays as well as adrenalin impact and fear management, which all together can make the difference between being or not being hurt in an assault that cannot be avoided. It all depends what the priority is! There are many reasons why a person wants to take up a martial art – whether it be because of its beauty of movement, to enter competitions, to follow a tradition, learn self-defence, fitness, etc. Most martial arts such as Karate, Judo, Tae Kwon Do and most of Wing Chun, Ving Tsun, etc, include all of these aspects but emphasise each of them differently in terms of priority, importance and time spent per lesson on these various aspects. The priority of the EWTO is to teach self-defence to suit all circumstances and with the least moves possible. Asked in a recent interview for “WingTsun Welt Online”, GM Kernspecht said that he had been looking for a realistic self-defence method since the late 1950′s and looked for it in Wrestling, Judo, Ju-Jitsu, Karate, Aikido, Kempo, Hapkido, Taekwondo, Escrima, Wing Chun, Ving Tsun and Wing Tsun, all of which he has earned higher Master Grades. But none of these arts teach realistic self-defence. Shotokan-Karate is teaching Shotokan-Karate, Ju-Jitsu is teaching Ju-Jitsu, Wing Chun is teaching Wing Chun in the sense that every style is sitting on its own ivory tower and not looking at what is really happening on the street. Asked how the case was with MMA (Mixed Martial Arts), GM Kernspecht answered that it focuses exclusively on the ring and not on the street and that this is evident from some recent “reality video clips” which show how little “street smart” MMA sportsmen are behaving in realistic situations on the street. He went on to quote Bruce Lee, who is said to have said that most martial arts are vaguely doing something that is related to self-defence. “Yet every style, even the best, only gives us part of the truth. Everything appears logical from its own point of view, but other styles also see themselves as logical. When I look at the very few really effective Asian martial arts styles, the opposite view of a given set of teachings often makes just as much sense! Nonetheless, their adherents have an almost religious belief in the partial truths that have been instilled in them. So what are the styles that actually work? Styles that look at function. Where function comes first, and then the form. Form follows function! Unfortunately most styles start everything with the form (Kata). And usually that’s where they also end. In the meantime there are usually highly inventive explanations of the movements in the form based on zero street experience, plus far-fetched applications (Bunkai). The new student wants to learn how to defend himself, and all he gets is forms. Isn’t the situation similar in WingTsun? WingTsun begins with the SiuNimTau form (SNT), though its primary purpose is not learning techniques, but rather mental training. Training our attentiveness and power of imagination, while in an apparently motionless stance. Although very few actually say it or still know it in would-be enlightened Hong Kong, it is all about developing the mysterious Jin force, about creating links between the parts of the body, and about developing harmonious physical unity which includes breathing, something we do not really talk about in WT at this stage because it adapts itself automatically. But there are also movements to be learned in the SNT. Yes, but these are secondary. Try explaining that to a student! What do you think would happen if I left him standing in the special SNT stance (IRAS) for 30 minutes without moving? Then you would not have the 60,000 or so students you have now! Quite so, and perhaps that was the reason why the masters before us added arm movements. This makes it more interesting for beginners, for beginners in particular always look at the arms. This is where they expect movements, and we need to meet this expectation if we are to avoid standing in a school with no students. It is the standing, or standing meditation if you like, that is important, and the arm movements are the sugar coating that makes the bitter pill (standing still) bearable. This standing exercise is the first indication that WingTsun, which was originally a northern system according to GM Yip Man, is conceived as what we call an inner style. An inner style like TaiChi, Pakua, Hsing-I? Yes, you can already see it from the structure: standing, few movements, a form of ChiSao training, fighting based on situational awareness and tactile/kinaesthetic training, use of sophisticated rather than primitive forces. Clearly defined principles. Starting with relaxation. And the power comes from the legs and torso, and is transferred to the opponent via the arms. But in the SiuNimTau you don’t notice this (yet), as only the arms move. Wanting to avoid mistakes like good Confucians, it starts with the smallest details that are furthest away from the central axis. With the 2nd form (ChamKiu) it gets closer and closer to the central axis as the source of power and moves on to the 3rd form, which I consider to be the true WingTsun. If Ng Mui and Yim Wing Tsun had studied sports and movement science with Prof. Tiwald, they would have put the horse before the cart! And they would have had the courage to let their students make mistakes, as you learn faster and retain more that way. What do you actually want to change in WingTsun? Strictly speaking, nothing. And nothing at all about our WingTsun techniques, or in the solo forms. But quite a bit about the traditional teaching method! The fact that our Chinese predecessors were able to develop as ingenious a fighting system as WingTsun does not necessarily mean, as I have often heard, that they also developed a correspondingly ingenious teaching method. Their method is based on learning by rote, on the drill-like instilling of habits by repetition. This is entirely out of kilter with their Chan-Buddhism, which is about presence of mind and also spontaneity. What also disturbs me, and delays learning progress in the individual, is the cessation of movement at the end of a technique. This too is in contradiction with Chan-Buddhist thinking. We must allow the student to let his movement flow, even at the risk of him making mistakes. We must depart from the many details and don’ts, and go back to the two fundamental forms of movement, receiving and giving back. That is what it is all about. Otherwise the student will not see the wood for the trees. In this case the wood is the principles, and the trees are the many techniques? Precisely. The techniques are only examples with which we confront the student in the solo forms, and also in the partner forms conceived by my SiFu, so that he understands and absorbs the principles involved. When he becomes a master himself, he really does not need them anymore. Do we copy the style of our Masters? Dr. Leung Jan’s Wing Tsun was different from that of our founder Yim WingTsun – and quite significantly so. And Chan Wah Shun who was the Sifu of Yip Man practiced a different Wing Tsun from the one Dr. Leung Jan did. Eventually Yip Man’s WingTsun differed so much from what he was originally taught by Chan Wah Shun that when he returned from Hong Kong to Fatsan showing his newly acquired Wing Tsun that he learnt from Leung Bik (the son of Dr. Leung Jan) his fellow students and his Sihing were claiming that what he was practicing was NO Wing Tsun – but it was, just further developed and very effective for that time and place! GGM Yip Man also developed the WingTsun that he was teaching further – so much, so that the practice he taught to his youngest and very last student Leung Ting some twenty years later differed from that he taught in the 1950s to his first students in Hong Kong. GM Leung Ting himself took this refined Wing Tsun knowledge from GGM Yip Man and developed it even further based on his experience and needs of the time. He then passed on his entire knowledge to Keith R. Kernspecht in the time from 1976 to 2000. GM Kernspecht recieved his 10th Mastergrade from his Sifu, Leung Ting in the year 2000, having mastered the Wing Tsun system of all Grandmasters before him. He has developed it much further since and continues doing so. He is currently teaching his top master students at least four hours a day as well as researching and developing it further. For the rest of the time he works and writes on the further advancement of the WingTsun teaching methods with great success and enlightening more than 60,000 students world-wide. He has written more than 20 books on the topic with many more in the pipeline. Important to mention also is that Grandmaster Kernspecht, has not only learned from GM Leung Ting but way before that from Sifu Joseph Cheng in London, who was teaching Dr. Leung Jan’s “elderly years style” that was much less based on forms. Grandmaster Kernspecht also learned “Bruce Lee-Wing-Tsun” or “non-classical Gung Fu” in Seattle from Bruce Lee’s first students, Jesse Glover and Ed Hart. Bruce Lee who also was a student of Great Grandmaster Yip Man further developed the Wing Tsun that he learnt in Hong Kong, eventually calling it Jeet Kune Do, or the way of the intercepting fist. Furthermore Prof. Kernspecht learned from his Si Hing, Alan Lamb, (the first non-Chinese student of Joseph Cheng and Koo Sang) the Wooden Dummy, Long Pole and Double Knife Form (Bart Cham Dao) of the Hong Kong “Ving Tsun” schools, which uphold the tradition of Yip Man’s sons. However, in Hong Kong there were no realistic exercises against techniques of other martial arts, attacks from thugs, attacks with weapons and against many attackers. With these innovations in the 1970s GM Kernspecht managed in record time to make WingTsun one of the most popular Self Defences and to have more practicing members in Germany alone than in its motherland China. Very often he is therefore referred to as “the Father of Wing Tsun in Europe”. • Over 85% of our WingTsun training consists of exercises with a partner, because we are training for dialogue not monologue! a. traditional Wing Tsun (Wing Chun, Ving Tsun, etc.) is not designed for the “Macho-Ritual Combat” which is commonly found in the western world. The Chinese use a different ritual fight and traditional Wing Chun, Ving Tsun, etc. (regardless of the way it is written) is no longer up to date. b. The concept of danger on the street has significantly changed. In it’s traditional form Wing Tsun/ Wing Chun/ Ving Tsun nowadays cannot be implemented one to one on the street, because it is training only against one (1) attacker, who also trains Wing Tsun and attacks frontally. Nowadays we always have to consider, that weapons, especially knives, will be used by an attacker. In half darkness a knife, even if it is not hidden, can be barely seen by the defender. Such a knife not only requires a much higher preciseness to avoid a blow, but also increases the reach of the attacking arm. Therefore a “technique” that might be sufficient to avoid a punch would by keeping the same body position lead to the defender being deadly stabbed! Consequence: Because we cannot exclude the knife in the possession of our attacker, we have to train each and every “empty hand” attack as if it included a knife: with maximum preciseness and much more involvement of our entire body. The pedagogical beginners rule in the traditional Wing Tsun – “first hand, then body” – would as and answer to a knife attack be a clear suicide. Here the overlapping scale of senses needs to assess the attack, primarily optically extrapolating it. Thereby the attacked body part removes itself already in a hurrying ahead submission. Only then the almost incorruptible whole-bodily sense of touch verifies as last instance, if any further corrections are necessary. someone else would not get involved. attacker may attack us from the side or even from the back. Consequence: Excessive turning as applied by most Wing Tsun practitioners (WT, WC, VT regardless of the writing), which perhaps against only one attacker would leave us without consequences, could mean that we are by doing so unprotectedly turning our back to a 2nd attacker, who comes from the side. This means that we have to move away from turning excessively (traditional Basic and Middle Level) and toward minimized leaning back and scooping out as the advanced 3. Form is teaching it. We have to continuously expect also that further attackers are going to join the scene – that there will be kicks to the head, when one is on the ground, where you should not want to go voluntarily. Before 1980 it would have been seen as a cowards’ braking of a taboo, to proceed with many attackers on one victim. The same applied to kicking somebody who is already on the ground. Today it seems more than normal, because in action movies and on TV we are experiencing it each month several times and on the streets it is copied! Consequence: We have to precociously train our balance in order not to fall. Additionally the protection of the head and the ribs from kicks and quick rising has to be given enough attention in the training lessons. 1. Strictly speaking it contradicts the spirit of the Daoism and the Chinese war strategy, to take any particular form before the battle that can give the opponent information on which he can plan. 2. This position, taught generally in the traditional Wing Tsun can in the best case only be applied against one attacker – not against many who are standing around us. Effectively the arms of the Wing Tsun practitioner have to be in movement all the time. 3. Between the arms of the opponent is the most dangerous position. Why do we still see it? Because of a wrong understanding of the construction of the Wooden Dummy. Only on the flank/wing of the aggressor, in the so called “outer position” are we on the safe side! Consequence: In our realistic WT Self-defence Program, as we are teaching it for decades personally and through students in various police and military units like SEK, GSG9, FBI, RAID, NOCS, KSK, the Lions of San Marco, GIS – under the name “Blitz Defence” we are always emanating (starting) from safe outer positions. Moreover, we are teaching the students to keep their strong arm away from contact with the aggressor, so that they can use it any time without the opponent being able of hindering it. This is resulting in 4 essential Safety Positions (in relation to the position of the attacker) for the user of the WT Blitz Defence programs, out of which one has to imperatively train! If we are dealing with more than one attacker then there are additional positions that we need to learn. For the reason that we have to expect attacks with kicks or the knee at any time, our leg position is corresponding not only with our arm position, but with the leg position of the attacker as well! In WingTsun too, the question of what is right or wrong repeatedly arises. But particularly in our fighting system, we must constantly keep the level of knowledge – beginner, advanced student, master… – in mind. 1. They want to apply ready-made techniques from the forms at all costs. 3. They are afraid to fight in a relaxed manner, fearing that their “techniques” could be “collapsed”. 4. Fixed techniques and arm positions with a final position at a certain angle to the body. 5. They want the opponent’s pressure to force them into specific positions and body postures, which makes them predictable and subject to manipulation. 6. They fix their shoulder-blade and keep the torso tensed, as they want to transfer the incoming energy from their rigid arms to their feet in order to use it for the obligatory “turn” in the ChumKiu form. 7. They require strong, sustained pressure by the opponent so that their pre-planned defensive movements are triggered. 8. This means that if there is already close contact with the opponent, they can no longer react. 9. They only give way to “much stronger” attacking pressure, but still believe they are doing WingTsun. 10. They only give way to form Bong, Tan etc. with their arm, not with their whole body. 11. They understand “borrowing the opponent’s strength” to mean only deformation to Bong, Tan etc. followed by a thrust with the freed hand. 12. They do not actually believe that it is possible to use the opponent’s energy. 13. The only part of the entire WingTsun system they have understood is GM Kernspecht’s old wedge model of the 1980s, but this is only one aspect of WingTsun. 14. They have completely lost sight of the part played by the eyes, and only react when contact is made. 15. They know only one way of “sticking”. 16. They understand “following” to mean running after the opponent with “footwork”. 17. They believe that something rigid whose shape is already fixed can adapt to what comes. 18. They only know form techniques which they are determined to apply, but which never really fit and must be “made suitable” with strength and speed. There is therefore no chance of effortless efficiency. 19. The obtain the power for their striking and thrusting techniques from the arm rather than from the rest of the body (especially the legs and torso). 20. Their intention and effort to do something specific – their plan – is obvious all the time. Their movements appear disjointed and unskilled (like Dim Dim Ching in the forms), they lack flow and spontaneity. From the point of view of the inner WingTsun practiced by the advanced student on the way to mastery, these 20 characteristics of an outer Wing Tsun (Ving Tsun, Wing Chun) can be called mistakes. The EWTO sees itself as an inner WT style. But first we must teach the outer aspects so that the student grade has the material and examples with which to understand and absorb the principles. At least where the basic student level is concerned, we are therefore not necessarily talking about “real mistakes”, but about sometimes necessary learning steps which are indispensable in the lower programmes and must be replaced and left behind in the higher programmes. Together with GM Kernspecht, the EWTO team is working to resolve this confusing situation by finding ways to reconcile the basic programme, which must be technique-oriented, with the following programmes, which must be less and less so. A problem recognised is a problem soon solved!